Located in China’s northern Hunan province, the Zhangjiajie National Forest Park is a unique landscape stretching over nearly 12,000 acres. 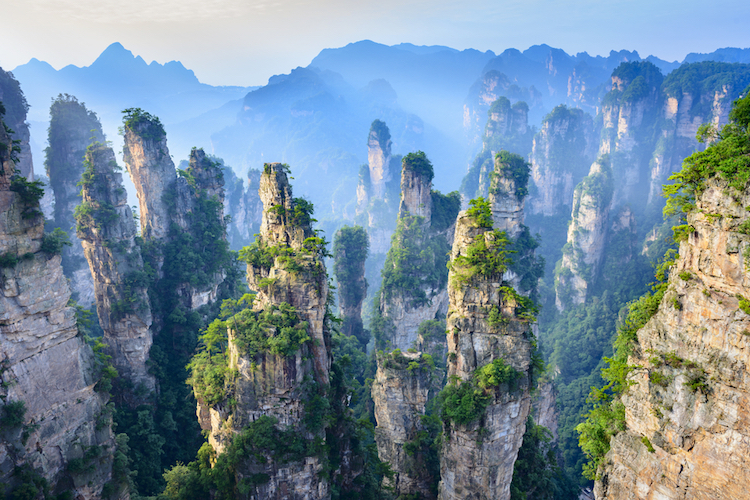 Fittingly, it was named China’s first national park in 1982 and is particularly known for the thousands of foliage covered vertical stone columns that rise up into the sky. It’s this unique feature that helped inspire the floating Hallelujah Mountains of Pandora in the film Avatar. The columns were created by natural erosion and one in particular—the Southern Sky Column—reaches 3,544 feet high. It’s this stone pillar that park officials say inspired James Cameron and his production designers. And in order to play off Avatar‘s popularity, they renamed the rock Avatar Hallelujah Mountain. 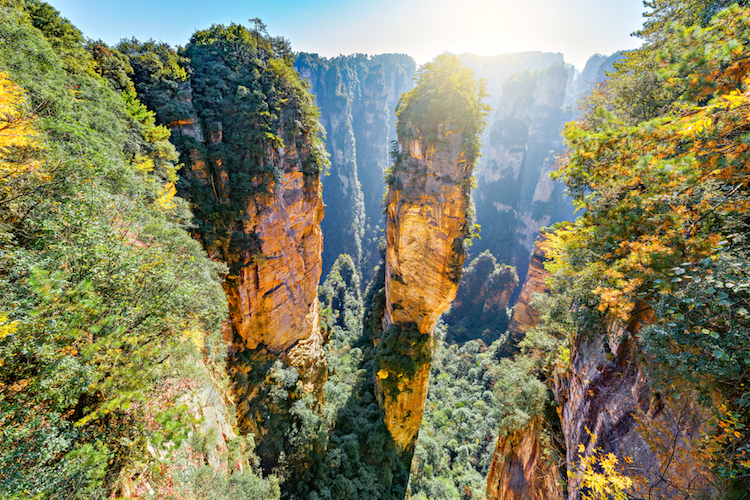 Around 30 million people flock to the area to take in the breathtaking scenery and quartz-sandstone pillars, so officials were hoping to incentivize even more people to visit due to the film’s popularity. 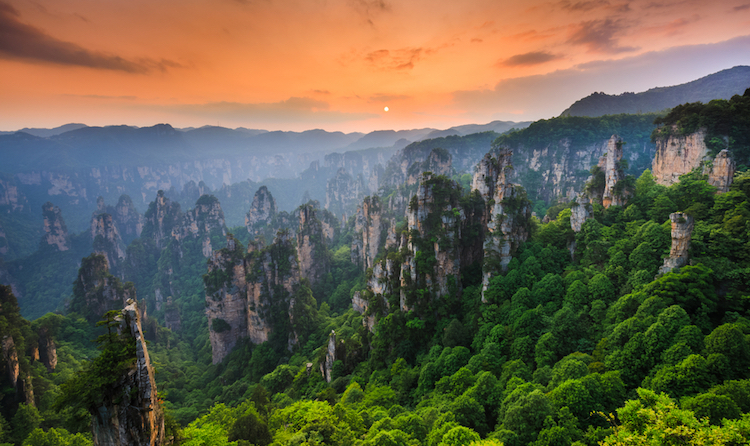 Slogans like “Pandora is far but Zhangjiajie is near” and “Discover the real world of Pandora” were used by local officials to play up the connection. Interestingly, Avatar itself has a complicated history in China. In 2010, it was one of just 20 Hollywood films the government allowed to play in cinemas. Two weeks after opening, it was already setting records in China when it was pulled from 1,600 screens by the government. At the time, reports said it may have been due to the plight of the film’s “Na’vi” people hitting too close to home. In the movie, the Na’vi are forced from their land to make way for economic growth. To combat this change, they start a revolt. There was concern that locals might connect this with their own issues of displacement due to government expansion and take action. 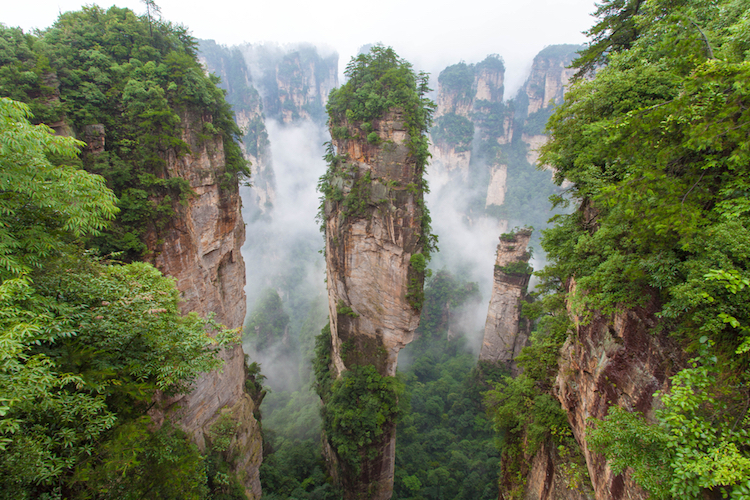 Nonetheless, Avatar is still one of China’s highest grossing films and its connection to the Zhangjiajie National Forest Park has stimulated new visitors. In fact, to capitalize on the renewed interest, the world’s longest and highest glass pedestrian bridge was opened in 2016. 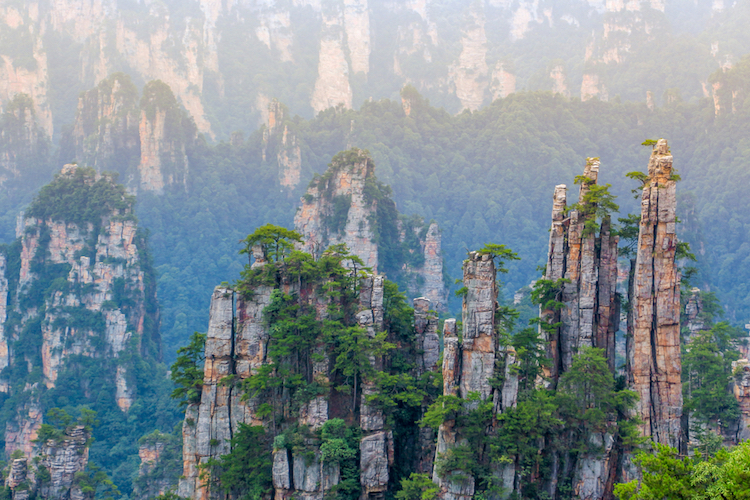 The Zhangjiajie National Forest Park is China’s first national park and is known for its vertical stone pillars. The formations were caused by natural erosion and now the pillars are covered in lush vegetation. One pillar has been renamed Avatar Hallelujah Mountain, as it’s said to have inspired Pandora’s floating mountains in the film Avatar. The post This Beautiful Forest in the Sky Inspired the “Floating Mountains” in Avatar appeared first on My Modern Met.